Pulsair presents the anoxic mixer design for anoxic zones promote denitrification by combining nitrates and organic microbiological material. 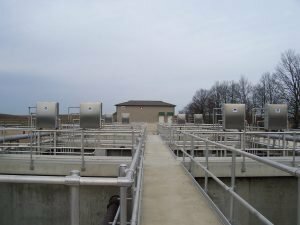 Pulsair offers wastewater treatment facilities the best mixing solution anoxic / anaerobic wastewater treatments zones. The large compressed air bubbles scour and sweep the tank floor to keep solid suspended and uniformly distributed within the tank. The large bubbles pass quickly through the wastewater and will not promote any transfer of oxygen during the mixing process. 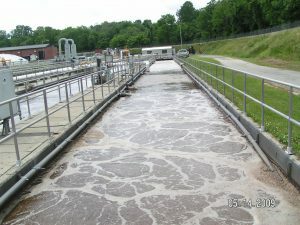 The large compressed air move more wastewater faster than conventional mixing processes and use half (50%) less energy. The Pulsair mixing process encourages the right biological communities to form resulting in an anoxic condition suitable for denitrification.